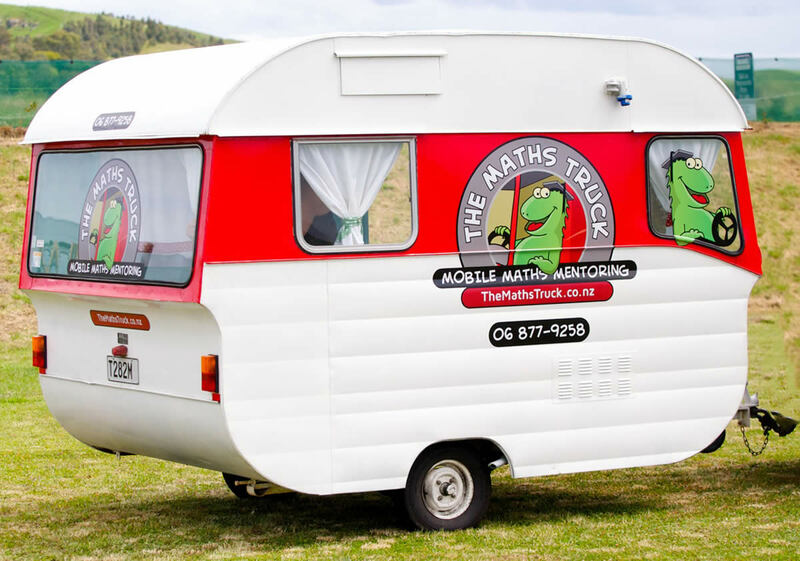 The Maths Truck is a mobile maths tuition program established by businessman and tutor Andrew Baker, who aims to make maths engaging, fun and easily accessible to young children and families. 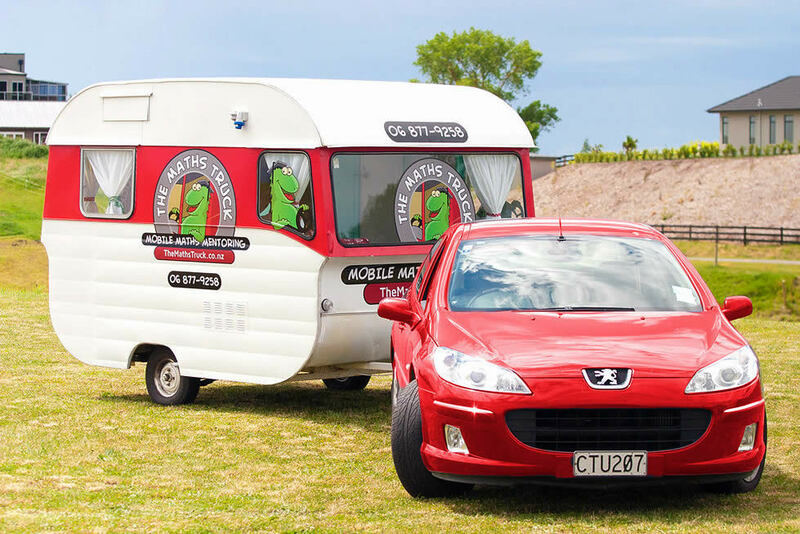 Andrew was inspired by celebrity chef Michael Van de Elzen’s Food Truck, as a way of making maths easily accessible and convenient for families because tuition can be delivered during school time or at a location close to school or home. 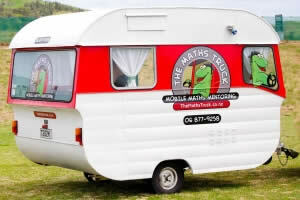 Andrew’s using a lovely retro caravan as his flagship, and Bek was called on to create friendly and attractive graphics. She’s done a brilliant job, as you can tell from the amazing photos below! 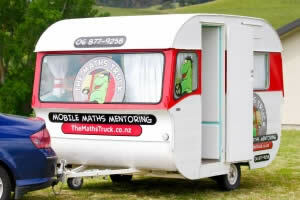 You can find out more about The Maths Truck at www.themathstruck.co.nz and Hawkes Bay Today has a great article on it. 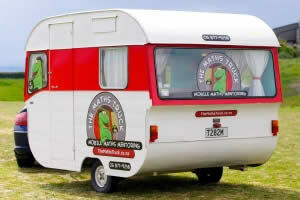 Andrew’s using a lovely retro caravan as his flagship, and Bek was called on to create friendly and attractive graphics. 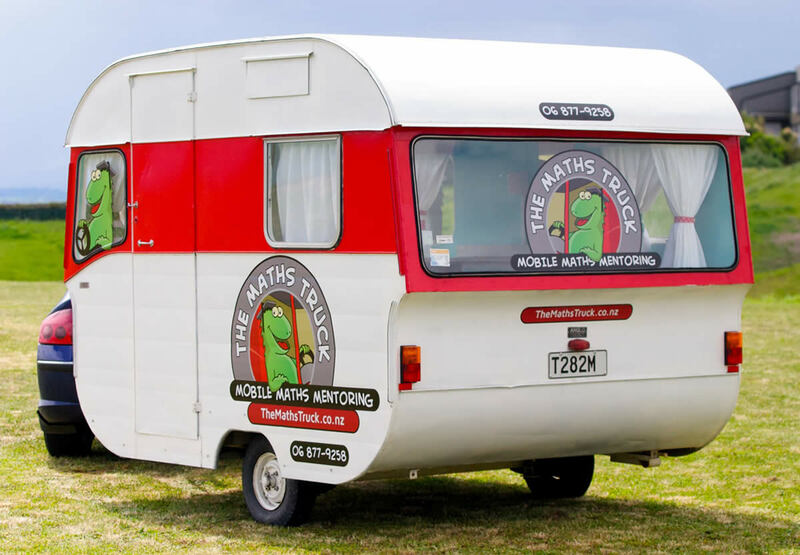 She’s done a brilliant job, as you can tell from these amazing photos! 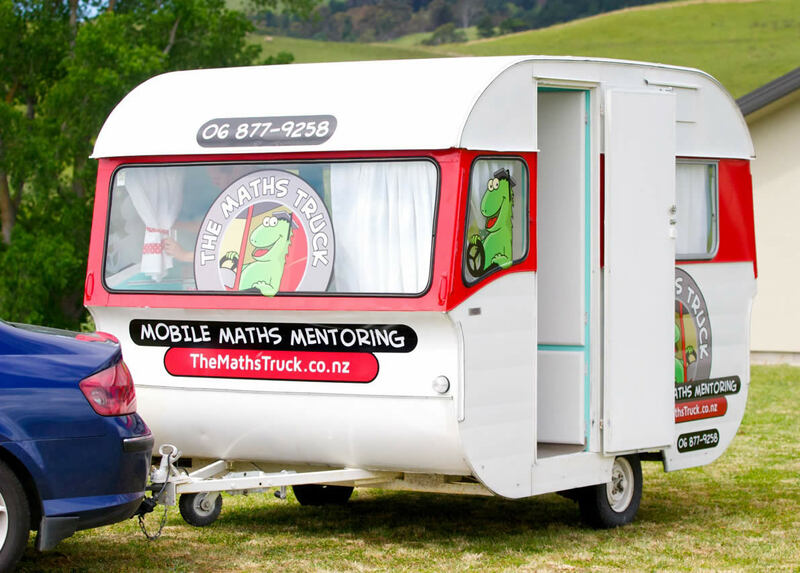 You can find more about the Maths Truck in our Portfolio post on it.